Bullying tip #13 What can we do to stop bullycides? Bullying in school isn’t a rite of passage. There are other ways to teach kids these skills. The sink or swim approach to bullying prevention isn’t working. Kids are committing suicide. 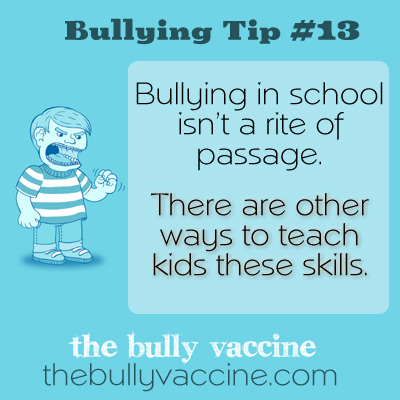 Let’s teach them how to deal with bullies effectively.